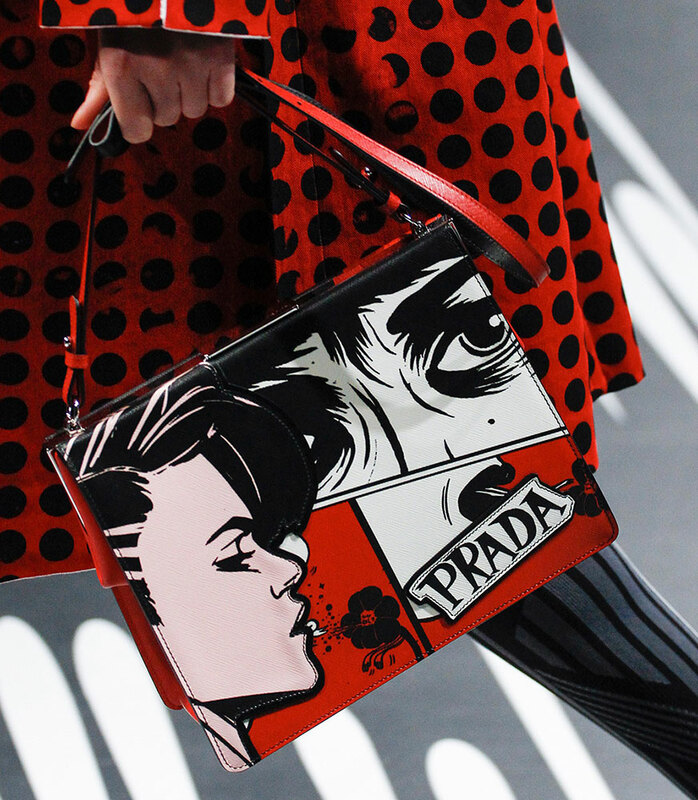 Prada changes things up so much from one season to the next on its runways that I didn't have any terribly specific for predictions for what kinds of bags would grace the brand's Spring 2018 runway, and if I had tried to guess, I would have undoubtedly come up far short of what Prada ultimately put together: a fun, aggressive, but not-too-serious slew of bags with punk details, inspired by the gritty world of comic book heroines. 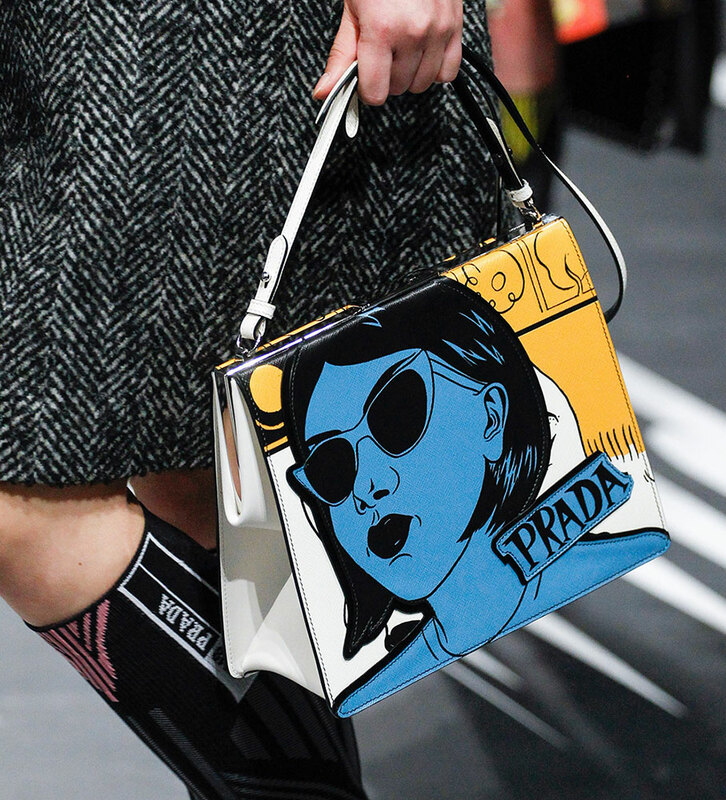 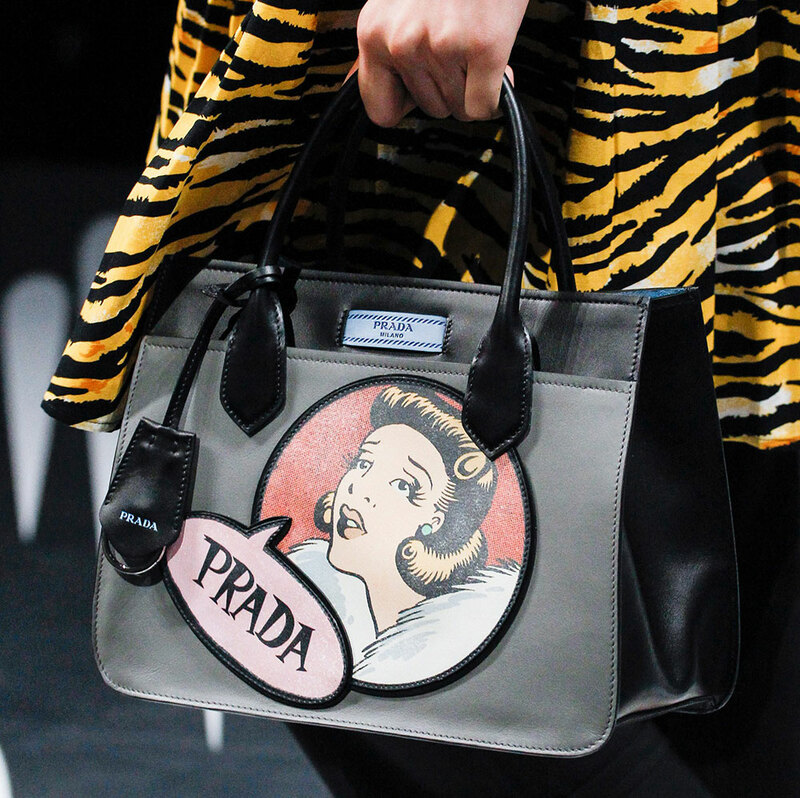 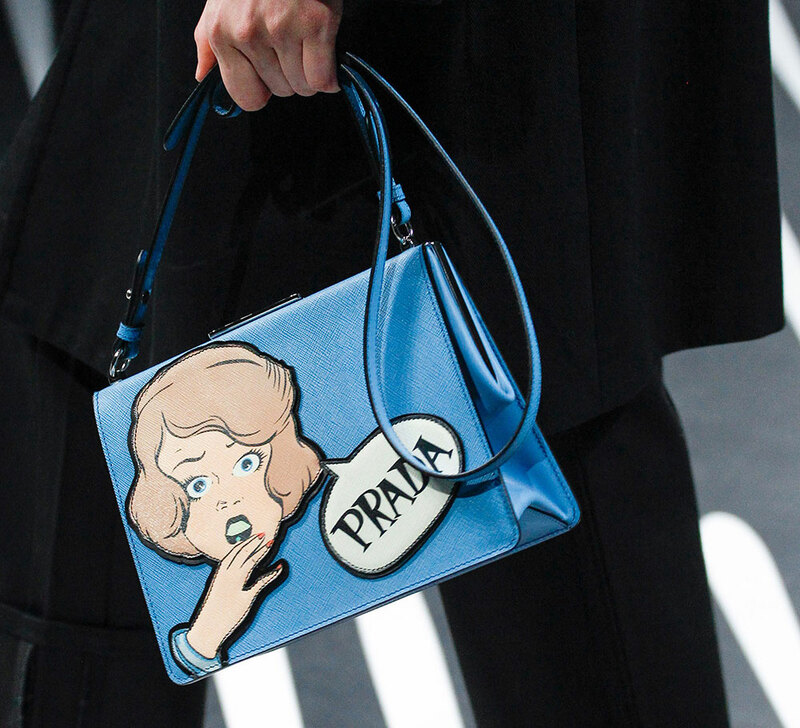 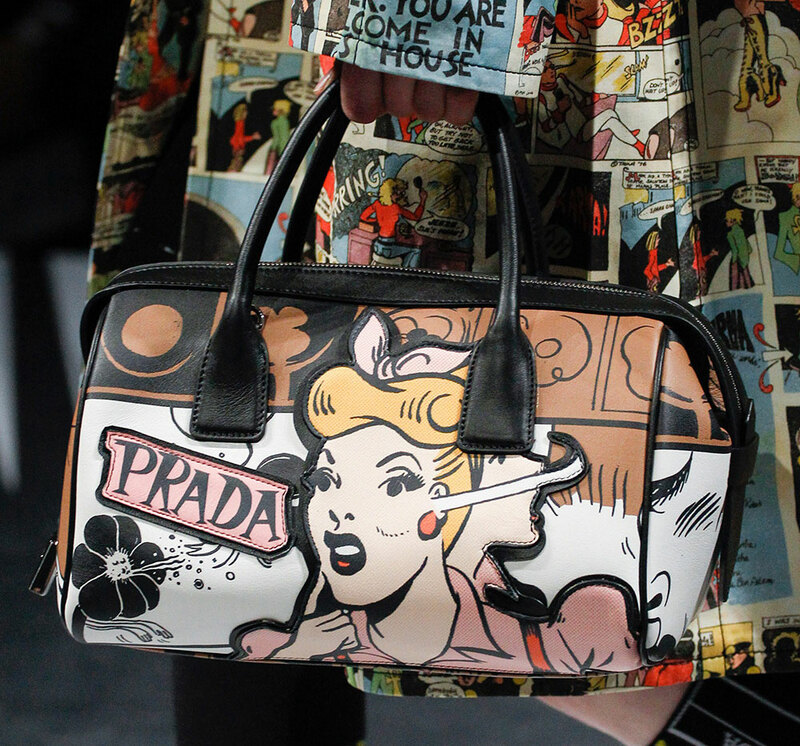 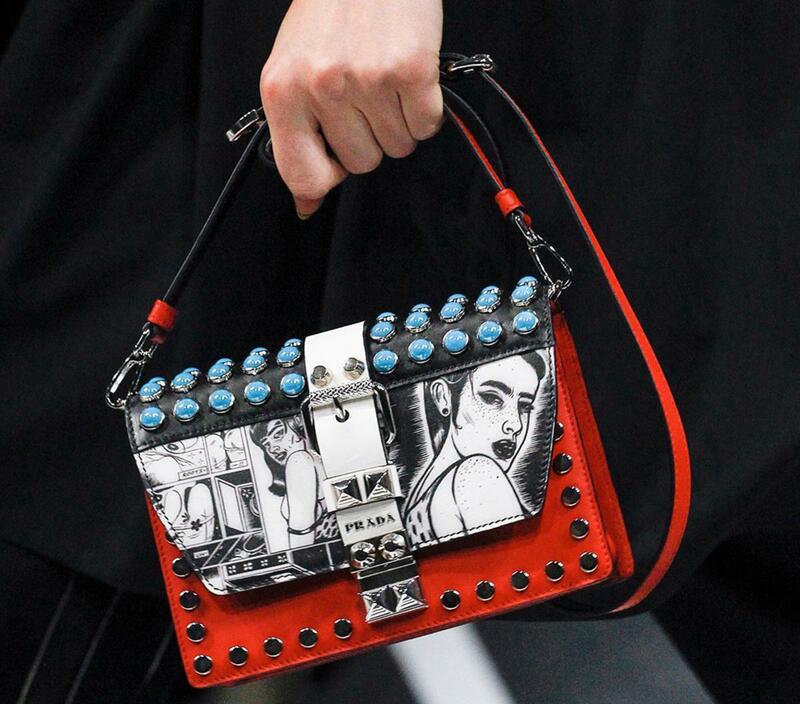 The bags with illustrations (which will be immediate street style fodder, it goes without saying) are cheeky and very much in line with Prada's occasional tradition of using artwork on its bags—most notably the fairy bags of the mid-2000s—but that's not all the runway offered. 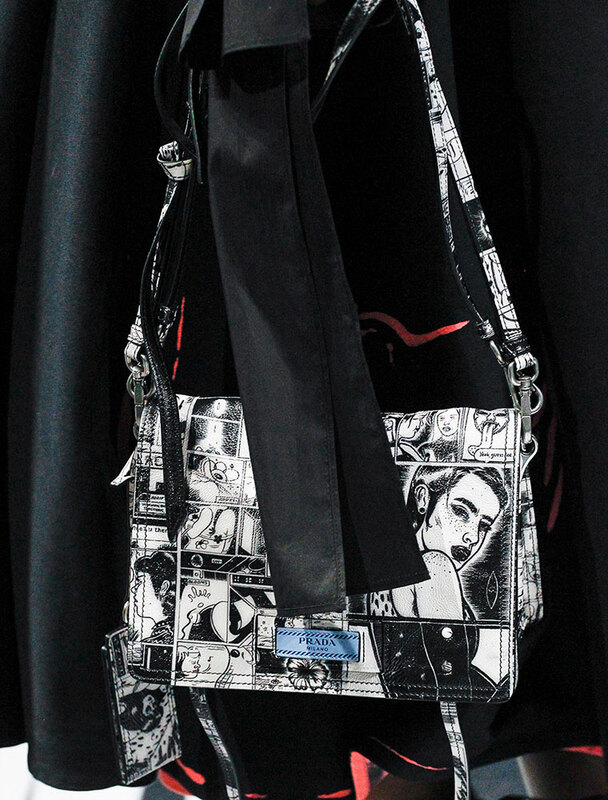 There were also excellent, simple leather bags that the brand hasn't shown before, as well as super-functional nylon pieces accented with studs and straps, bridging the gap between the brand's longstanding lines and the seasonal bags. 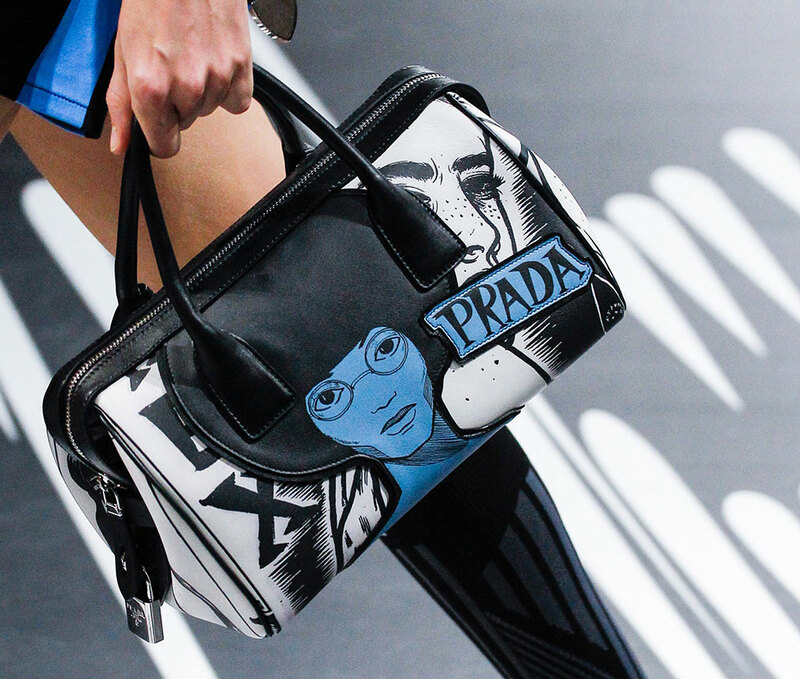 They looked like the kind of pieces the women in the illustrations might carry on their quests to stylishly save the world. 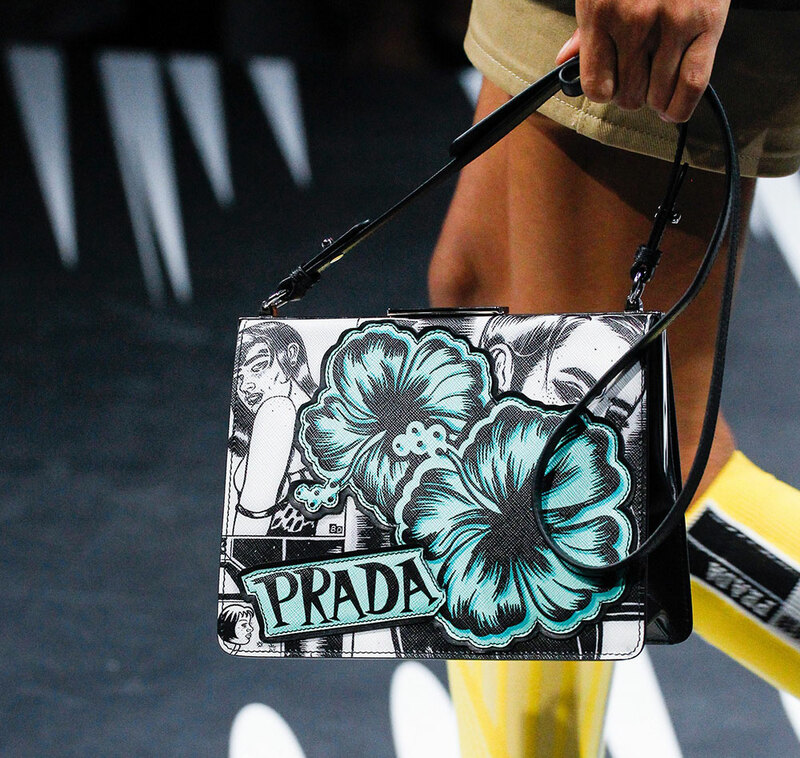 Check out all the pieces from the runway below.